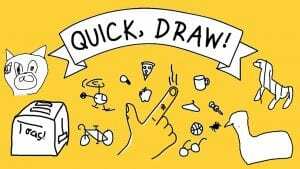 Quick Draw is an app from Google – mostly for fun. You are told to draw a picture of something. (Look up the word in Google Images if you don’t know it.) See if Quick Draw can recognize your picture in less than 20 seconds!